Realtors with 30 years of service are, from left, Rita Foster, Michael Coupland and Becky Bowman. 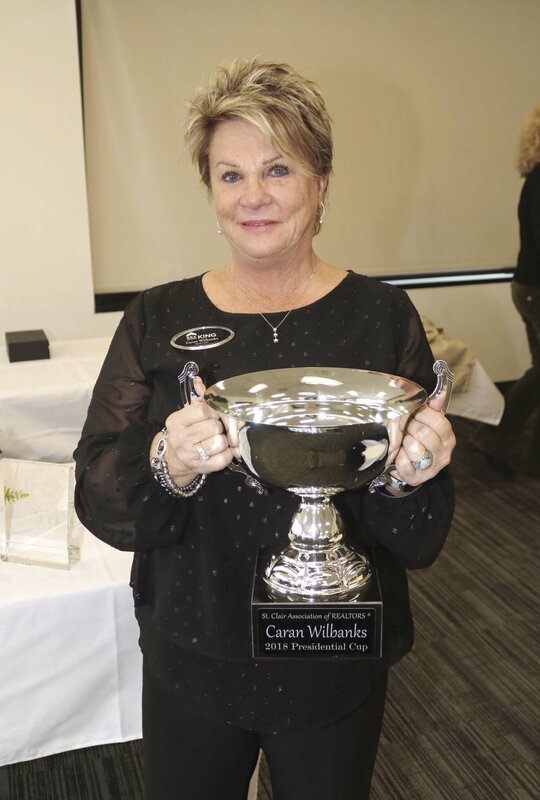 Caran Wilbanks was awarded the 2018 Presidential Cup. Lyman Lovejoy was named 2018 Realtor Emeritus. The 2019 Realtor of the Year award went to Becky Bowman. The realtor with 50 years of service is Ronnie Foster. The Rookie of the Year award went to Natasha O’Konski. Brenda Dill was named the 2018 Above and Beyond realtor. The realtor with 40 years of service is Lyman Lovejoy. Realtors with 35 years of service are, from left, Johnnie Atchison and Carl Howard. Nicole Anderson was named the winner of the 2018 Realtors for Communities award. The 2018 Large Affiliate of the Year award went to Trussell, Funderburg, Rea and Bell. The 2018 Small Affiliate of the Year award went to Servpro St. Clair. Accepting the award was Shirley Kujan. 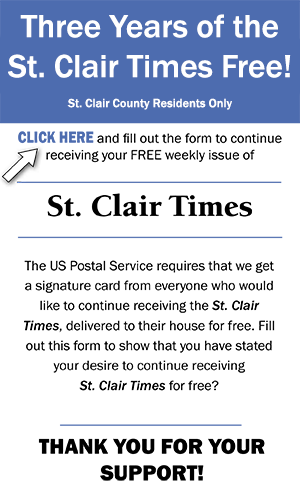 Sharon Thomas was recognized for being the 2018 President of the St. Clair Association of Realtors. Carl Howard was recognized for his professionalism and leadership. Realtors with 25 years of service are Lawrence Fields, seated, and from left, Caran Wilbanks, Jeff Jones and Shirley Kujan. Realtors with 20 years of service are, from left, Nancy Drinkard, Katrina Hennings, Brian Camp, Diane Williams and Nancy Locklar. Realtors with 15 years of service are, from left, Tracy Boyd, Chad Camp, Alan Drinkard, Jenny Houze and Sharon Thomas. Realtors with 10 years of service are, from left, Nicole Anderson, Karen Bain, Bill Goza, Shawn Story and Paula Krafft. Realtors with five years of service are, from left, Dana Ellison, Breanna Farmer, Kay McKinney and Tina Stallings. The St. Clair Association of Realtors held its annual awards luncheon March 21 at the Pell City Municipal Complex. Various realtors were recognized for their years of service. Also, there were many realtors who were recognized for a job well-done during 2018.